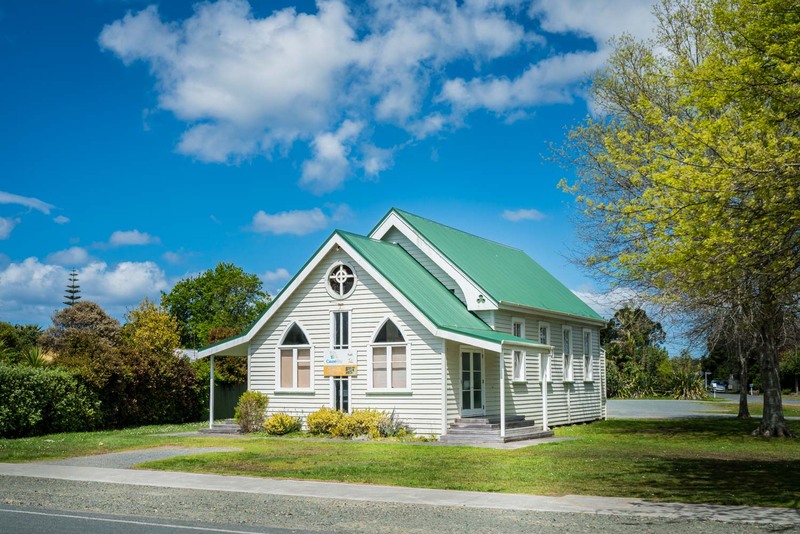 CauseWay Church (formerly Mangawhai Interdenominational Church) began as an interdenominational church in the 1930s, meeting in a small kauri church building, built in 1907. The Church originally came under the umbrella of four mainstream churches from outside the area, who provided oversight and accountability. In 1981 the church became an autonomous entity, with an elder-led leadership. This system of governance continued until 2005 when Colin and Anne Chitty were appointed as Senior Pastors. The church then grew to the point where the original building could no longer contain the number of people attending church on a Sunday morning. So in October 2007, Sunday morning services were moved to the Mangawhai Community Recreation Centre, while Kidz Church, FUEL Youth, and all other ministries continue to use the original building. In 2006, nine hectares (23 acres) of land were purchased near Mangawhai village, upon which it is planned to build a new Church facility in the next few years.